By Lee R. Cohen, D.D.S., M.S., M.S. Many of today’s advances can help make dental surgical procedures more conservative, less invasive and often times less painful. Fear tends to be the main reason patients delay or never seek recommended treatment. Unfortunately, issues with the teeth, gums and jaw bone do not repair themselves. When left untreated, these problems typically lead to more significant problems including tooth loss and pain. More invasive procedures may be required to address a situation that might have been able to be addressed in a less costly and less involved manner. Managing a patient’s anxiety or fear typically begins during the consultation appointment. Building trust with your doctor can go a long way in helping relax your fears about the unknown. Asking questions and receiving full explanations regarding your options can also help in reducing anxiety. Sedation is a tool we use to relax patients before, during and after a procedure. Our patients typically utilize either oral sedation (medications like valium) prior to their procedure or choose IV Sedation (also known as “twilight sleep”). 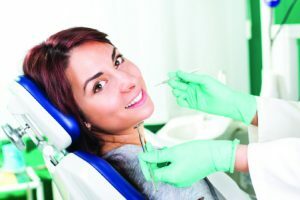 In addition, the fear of “Novocaine” can be reduced through new delivery techniques that change the way the anesthetic can be given. Using sedation and newer anesthetic procedures can truly make even the most nervous patient relax and have a pleasant experience. Once the anesthetic has taken effect, no pain should be felt during the surgical procedure. This can be verified with you before the procedure starts. Much of the discomfort that patients experience is after the treatment is completed and during the early healing period. Most of this discomfort is caused by swelling. Typically, but not always, the more invasive the procedure, the more post-operative discomfort. Our goal is to keep the surgery as conservative, safe and non-invasive as possible. The use of the latest technology helps to achieve these goals. A good example of state-of-the-art technology is the use of an in-office CT machine. Using this type of 3 dimensional x-ray to help plan procedures such as dental implants offers the surgeon the ability to see “inside the jaw bone”. Treatment can then be planned in the most ideal locations, allowing visibility of important structures such as nerves and sinus cavities. This technology can also be used to help perform “teeth in the same day” procedures. The benefit is that in some cases no incisions are needed to perform the surgery. In addition, treatment times may be shorter. Another example of the use of advanced technology is the treatment of bone loss around the teeth (also referred to as periodontal disease or deep pockets). Traditional surgery typically requires an opening of the area and sutures. The use of laser technology (similar to what is done with eye procedures) allows treatment of this life-long disease with no pain, no scalpel and no sutures. In fact, no pain medication is even provided for this procedure. Many new options are available to patients that allow treatment of dental issues with both the reduction of fear and decreased swelling, pain and post-operative discomfort. Treating early today can prevent more expensive and invasive treatment tomorrow. The focus of his interests are conservative approaches to treating gum, bone and tooth loss. He utilizes advanced techniques including the use of the Periolase Dental Laser (LANAP procedure) to help save teeth, dental implants, regenerate supporting bone and treat periodontal disease without the use of traditional surgical procedures. Additionally, Dr. Cohen is certified in Pinhole Gum Rejuvenation, which is a scalpel and suture free procedure to treat gum recession with immediate results. Dr. Cohen uses in-office, state of the art 3D CT imaging to develop the least invasive dental implant and bone regeneration treatment options. Dr. Cohen and his facility are state certified to perform both IV and Oral Sedation procedures. Botox® and Dermal Fillers are also utilized to enhance patients’ cosmetic outcomes. Dr. Cohen formerly served on the Board of Trustees for the American Academy of Periodontology and the Florida Dental Association. He is past president of the Florida Association of Periodontists and the Atlantic Coast District Dental Association. Dr. Cohen is a member of the American College of Maxillofacial Implantology and the American Academy of Facial Esthetics. In addition, he has been awarded Fellowship in the American College of Dentists, International College of Dentists and the Pierre Fauchard Academy. Previous What Is a Macular Pucker?